The global in-vitro fertilization market is expected to reach an astonishing $21.6 billion by the year 2020, which of course raises the question: why are so many people becoming infertile in the first place, anyway? People in the organic and GMO-free movement have long suspected that the food system and its overreliance on unnatural and chemical-laden techniques could be at least partially responsible for quite a while, and now new research has suggested that they may be on to something after all. According to this article from the website Huffington Post, the Journals of the American Medical Association have published research in recent weeks showing large increases in pesticide exposure to human beings, and also suggesting that pesticide-laden foods and fertility issues could be connected after following over 300 women at a fertility clinic and tracking their progress. As noted in the article, women who regularly ate fruits and vegetables treated with chemical pesticides had lower success rates in getting pregnant through IVF, while those who ate organic food had a reduced risk of pregnancy loss and increased fertility rates. In the study of 325 participants (of an average age of 35.1), women in the highest quartile of measured intake of high-pesticide residue fruits and vegetables had an 18% lower probability of clinical pregnancy and a 26% lower probability of live birth. That means switching away from eating non-organic vegetables with high pesticide residues (such as apples, spinach, strawberries and others; see top 5 list here) may be able to quickly boost your fertility at significant levels. The study was published for JAMA Internal Medicine and undertaken by Harvard researchers. “I was always skeptical that pesticide residues in foods would have any impact on health whatsoever. I thought we were not going to find anything,” said lead researcher Jorge Chavarro, MD, to Time Magazine, adding that he is now more likely to buy organic apples than before. Most U.S. “conventional” apples are treated with a chemical called diphenylamine, which is banned in Europe and used to prevent “storage scald” from happening. 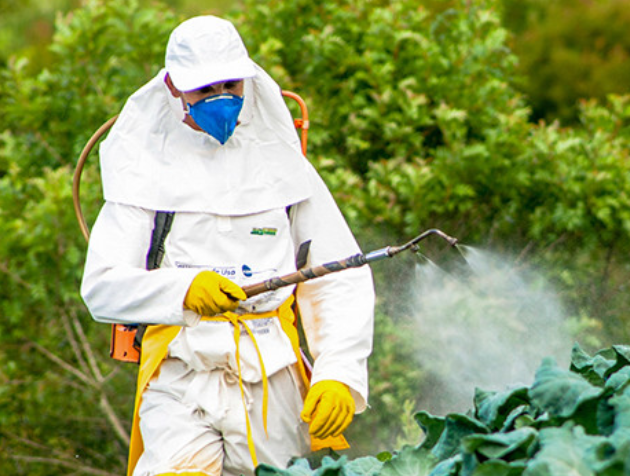 This is just one result of a system in which the pesticide industry is allowed free rein in the United States and has been allowed to shape policies in its favor of its chemicals, according to those in the non-GMO and organic movement. Epidemiologist and pediatrician Phillip Landrigan, MD of Mount Sinai, called the Harvard study a “warning that our current lassez-faire attitude toward the regulation of pesticides is failing us” in the same issue of JAMA. 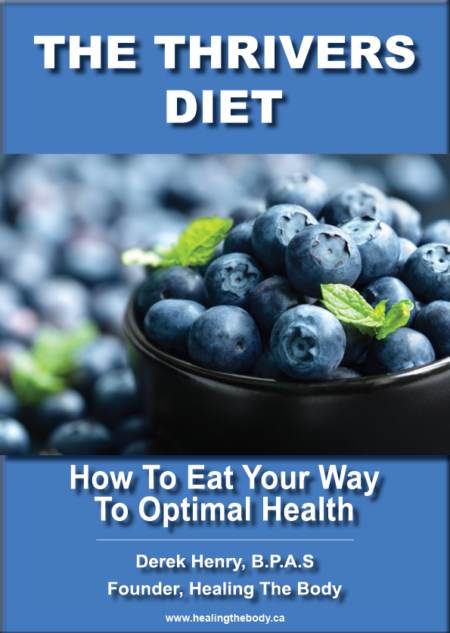 With much evidence showing that human fertility is on the decline and more and more couples lining up for some sort of intervention to fix the issue, Landrigan called for a re-examination of how doctors educate patients on diet. “Encourage our patients to eat organic,” Dr. Landrigan wrote as a recommendation, saying that reduced sperm counts and birth defects are almost certainly related to the overabundance of chemicals on food and in the environment. Also noted in the article was another study published in JAMA documenting large increases in the amount of glyphosate humans are being exposed to, leading to more calls for government officials to step in and make long-awaited changes. Glyphosate, the main ingredient in Monsanto’s best-selling Roundup weedkiller, was declared a probable human carcinogen by the World Health Organization’s International Agency for Research on Cancer in spring 2015, which Monsanto has disputed by pointing to approvals from government health agencies. Still, research on glyphosate’s toxicity continues to mount, especially in light of recent scandals showing that Monsanto worked with academics in order to skew research. According to the other study, undertaken by UC San Diego researchers, human exposure to glyphosate has increased about 500% since the introduction of genetically engineered crops (also known as GMOs or genetically modified organisms), most of which are created in a laboratory to withstand large-scale sprayings of Roundup. The number found according to the JAMA study is 100-fold greater than levels of glyphosate fed to rats that developed liver disease in one long-term feeding study. Going Organic to Preserve Fertility? These studies are just a small sampling of how pesticides have been linked to countless health maladies, and how caution should be taken for anyone hoping to conceive when it comes to pesticide consumption. While there are many factors that go into fertility, one thing’s for sure — exposure to too many pesticides is not helping anyone, leading Dr. Landrigan to call for better regulations going forward. For more info on these and other studies, check out the full article by clicking here. You can also read the agrochemical industry’s response in this CNN article. This article was first written in December 2017 and updated in October 2018. Categories: GMOs and Organic Food. Tags: does eating gmo make you infertile, does eating organic help with fertility, gmos getting pregnant, gmos infertility problems, organic food and female fertility, organic food and fertility treatments, organic food fertility questions, organic food helps to get pregnant, organic food pregnant, and pesticides and fertility problems.